Both men and women are looking for Charlotte nose job surgeons these days. About a quarter of all rhinoplasties performed in America are on men. This is tricky because not only are men operated on less often, the skin on men’s faces tends to be thicker and oilier than female skin, which blunts some of the angles and makes it harder for a surgeon to get precise results. Nonetheless, a good nose job surgeon understands the subtle differences that make a nose look masculine or feminine. Whatever your gender, you shouldn’t settle for less than the best nose job surgeon you can find. A nose job is almost always a voluntary surgery, and it’ll set you back thousands of dollars that insurance won’t cover. You need someone with the right combination of aesthetic sense, skill and understanding. If you’re looking for the best Charlotte nose job surgeon, you should begin by looking at realself.com. This is a plastic surgery website where more than 12,000 board-certified plastic surgeons are listed. At this website, you can find anything you want to know about nose jobs or any other procedure you’re interested in, along with answers to the questions people ask most often and testimonials about Charlotte nose job surgeons. You can also ask the advice of experts on the subject of rhinoplasty, and you might get a personal response from them. So if you’re looking for the best rhinoplasty surgeon in your area, this is a good place to start. 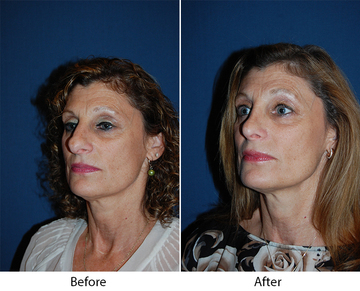 Look for a Charlotte nose job surgeon who does a lot of revision rhinoplasty — those are the best. Revision rhinoplasty is the redoing of nose jobs that either weren’t done properly, or had something go wrong during the recovery. When a surgeon performs a revision rhinoplasty, he or she has to work with tissues that have been rendered more fragile by the original surgery, and is working with a patient who’s already experiencing reduced confidence in the process. Dr. Sean Freeman is the best rhinoplasty surgeon in Charlotte, NC. He’s been certified by two different boards of surgery, the American Board of Otolaryngology (head and neck surgery) and the American Board of Facial Plastic and Reconstructive Surgery. Since 1988 he has concentrated on his specialty — facial plastic surgery, including nose jobs. Many of his patients have already gotten nose jobs from other surgeons and are seeking revision rhinoplasty to improve them. An online consultation will get you a discount on his consultation fee. If you are looking for a nose job, schedule an appointment today or ask for an online consultation to get a discount on the fee.